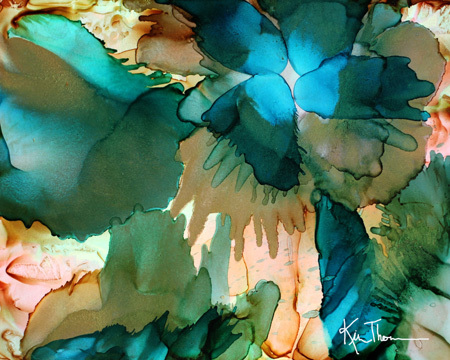 This little beauty was created using alcohol ink on yupo paper. If you haven’t given yupo a try for watercolor or inks, you may want to! It has a lovely rich texture, smooth to the touch and a glossy like finish. Colors just roooooool along. So fun! This looks luscious!! Something I need to try! I really like your flower on your gravatar!